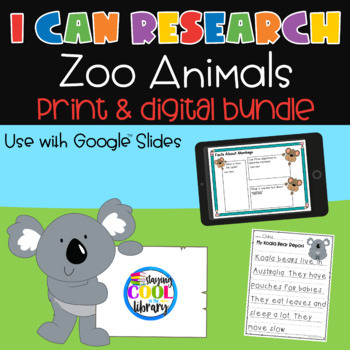 These research pages are designed for kindergarten or first grade students who are just beginning to learn about the research process. What do you wonder about your zoo animal? You can choose which pages you want to use. 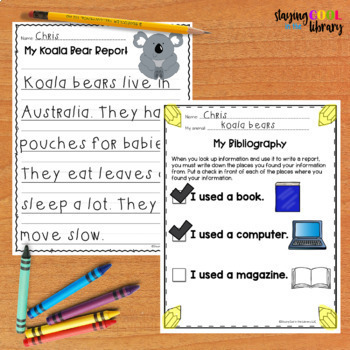 You can use just the fill-in page or have your students write a simple report as well. I included a very simple bibliography because I like to introduce the concept of copyright with my students as soon as possible. All they need to do to fill it out is put a checkmark in front of what they used to find their information (computer, book or magazine). There are 15 different sets (14 different zoo animals and one generic set to use with any animal). 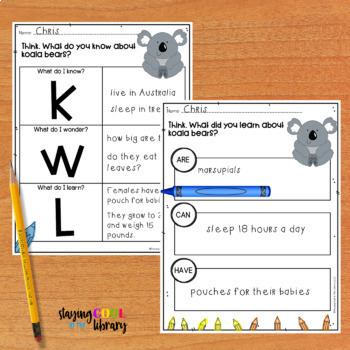 ****Click here to read a blog post about getting primary students ready to research!